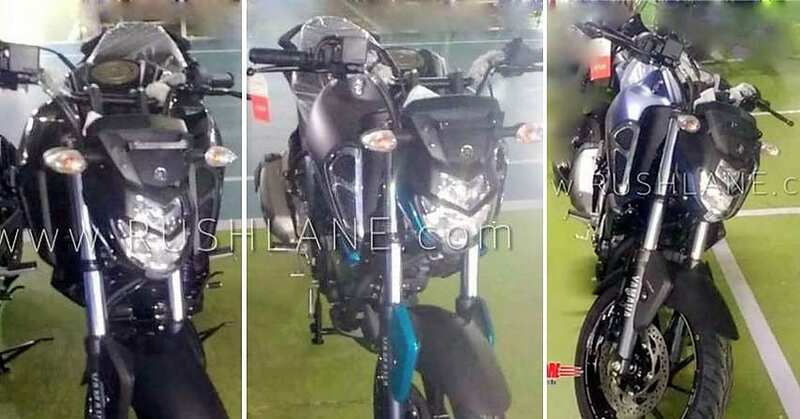 Yamaha FZ V3 ABS has been spotted for the first time in its production-ready guise at a dealership. 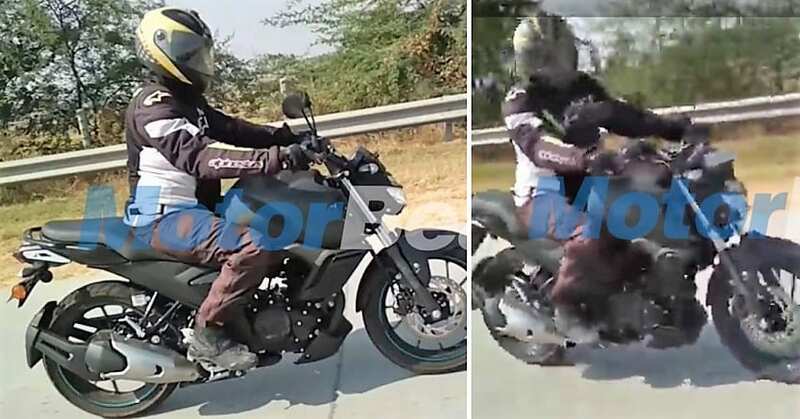 The recently spied images give clear hints of a Yamaha FZ25-inspired streetfighter, getting all-new exhaust cover, extended tank shrouds with faux air intakes, and a different front fascia finish. The headlight area now flows more like the quarter-liter machine, further feeling similar when considering the front wheel section with bigger disc and flowing alloy wheel design. However, the DRL section is differentiated from the primary headlight. The engine bay of FZ V3 ABS is exactly similar to the current generation FZS, clearing the fact that changes are visually appealing and more like a facelift than a complete overhaul. 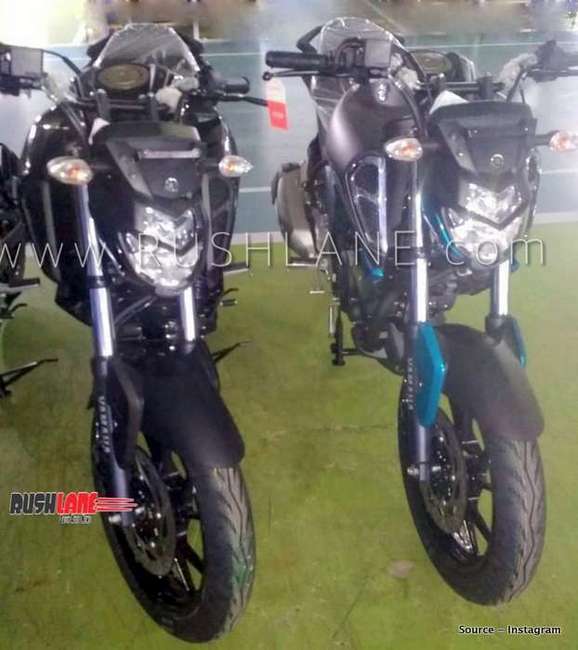 Yamaha FZ V3 ABS may bring more power through the same setup as the present generation model has the most decent output among all others of its segment. The console used here looks similar to FZ25 and dual disc brakes may arrive as standard on the FZ Version 3. Apart from the front fascia, the spy shots received earlier helped us make the remaining guesses. The tail section gets a new tire hugger, familiar taillight design and grab-rail sort of finish after the pillion seat. Yamaha has always shared parts among multiple motorcycles to keep the cost under check and this generation is also a similar story. It seems like the rear tire is also an upgraded 140-section unit from FZ25. 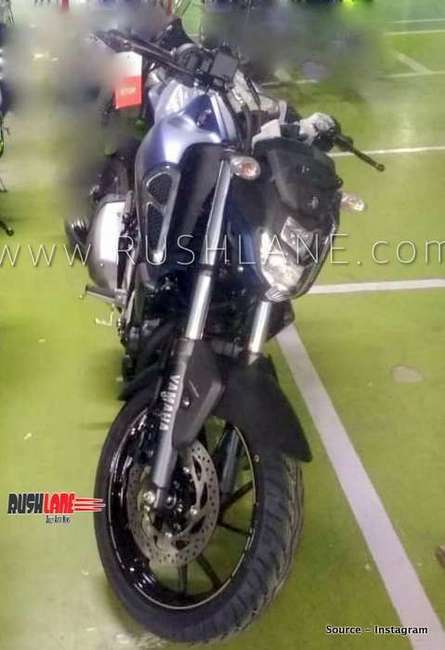 Some of the noticeable upgrades will include extended fairing that connects to the fuel tank shrouds, reworked handlebar position promoting straight riding position and a slightly lower rear section for easy pillion seating. Yamaha is also expected to offer a single, long seat for the model. The current generation 149cc, single cylinder engine is good for 13.2 PS at 8000 rpm and 12.8 Nm at 6000 rpm. The low 9.5:1 compression may get raised for better output in the next generation model. 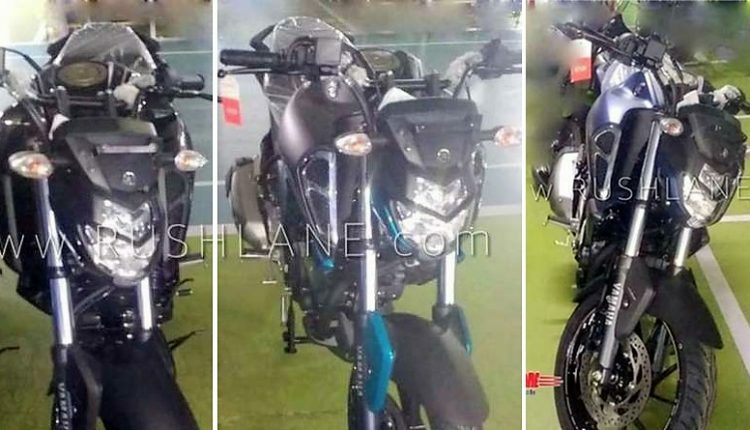 Yamaha FZ-S weighs 133 kg with the rear disc brake and thus, expecting a similar or even higher wet weight for the third generation model is obvious. The dual-channel ABS is expected to be shared with the new Yamaha R15 V3 ABS.